Black Country Day is ‘ere and we am set for a bostin’ time at Dudley Zoo. We’re flying the red, white and black flag at the top of Dudley Castle and have let a few of our black and white ruffed lemurs get their hands on smaller versions of the flag too. 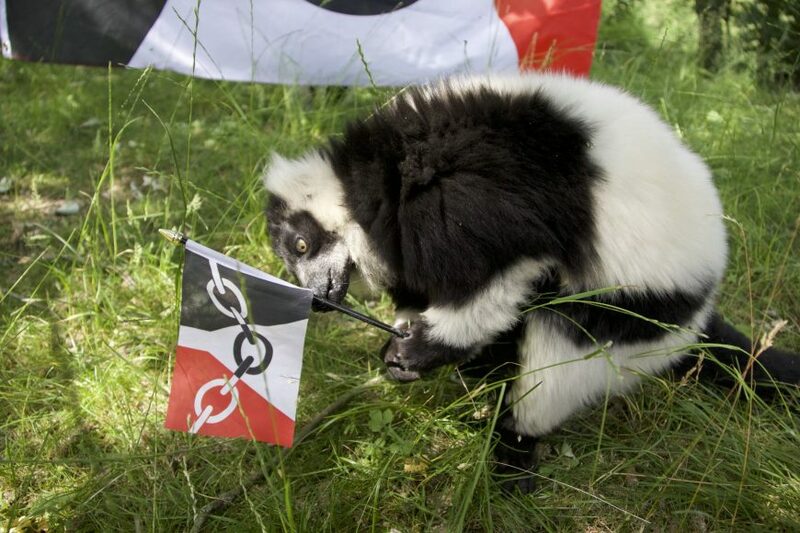 DZG’s Marketing Manager, Andrea Hales, said: “We’re showing off our Black Country colours with pride today and our lemurs had a super time playing with the flags. And why not relax on our suitably named new beach ‘Ow Bin Ya Sands’ if you’re on site today?